As much as I love Havana, it seems I am always on the go there. So when Liza and I arrived at our resort in Varadero yesterday, the stress (whatever little there was) melted away completely. There was a minor mixup checking in, but that was an easily rectified problem. Welcome to a week at an all-inclusive beach resort, peppered with the occasional quick hop into town. As is customary, as soon as we unpacked our bags I grabbed my cigars and we headed for the pool bar. Two café Españols (really a cappuccino with a shot of Mulata rum) were prepared, and I lit my first cigar of the stay – a Juanita custom roll. Liza has never been to a resort, and she was amazed how she felt her stress leave her body as we sat by the pool and enjoyed our drinks. As I write this, it is now Day 2, Sunday afternoon. We spent the morning (after breakfast) frolicking in the ocean, where the water was perfect and the waves were reasonably light. After lunch she decided to take a nap, and I came to sit in the shade by the pool with another cappuccino and a Hoyo de Monterrey Serie le Hoyo. This is one of the singles I picked up at the LCDH at the Nacional, and it is not disappointing. It is soft and creamy, but with a stronger retrohale. Milder than what I have been smoking, it is a very enjoyable cigar. Technically it is a double-band, but it cost less than cuc10, and is a definite bargain at that. Some of my custom rolled cigars are too fresh to enjoy properly, so I am going to let them sit for a bit before I break them out again. I have a few more banded cigars in my case, including the H Upmann Magnum 54 that I took home from Las Mujeres de Habanos that I am really looking forward to smoking tomorrow… if not later today. It is a beautiful day at Be Live Experience Turquesa, with not a cloud in the sky. There is the slightest breeze causing the palm fronds to flutter, and people of all ages are having a bonzer time. It would be impossible for someone who has never been here to see that the destruction left by Hurricane Irma is quite apparent, but the fronds are much smaller than they were, and several of the buildings are under heavy renovation. We benefited from this by getting a newly renovated room that is truly an improvement on what I remember, and it goes deeper than a paint job. The bathrooms are completely new, as is the furniture. The only hint of what once was is the wall-mounted safe, which is a bit difficult to open. No problems though, Liza can’t stop raving about how much she loves our habitacion. I confess that I do too! Resort vacations are different from activity or city vacations. We are here to relax, and that is almost impossible to avoid here. Between meals you can get snacks at the grill, the lobby bar closes at midnight, but the Bar Siboney is open 24 hours, and the drinks flow freely. For we the dirty old men, there are plenty of scantily-clad beauties in bikinis scattered amongst the families from Canada, Europe, and South America who look like… well… me. I saw one man in a speedo which I wish I could unsee, but aside from that all is good, and it is easy to overhear conversations and chatter in English, French, German, Dutch, Russian, Czech, Chinese, and of course Spanish. We all have one thing in common… we are here to relax and enjoy ourselves. The evening entertainment changes nightly, and I hope we will have a good show this evening. For now, beneath the stage there is a couple playing ping pong. 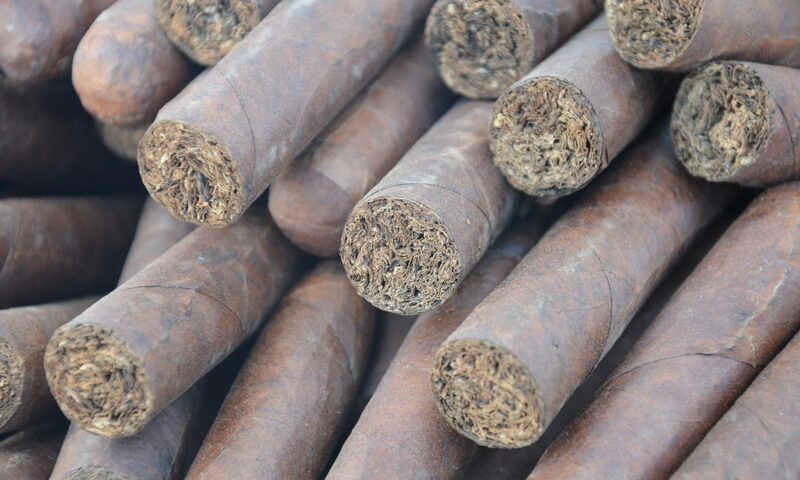 A lot of people are smoking cigarettes, and only a few are smoking cigars (as I am). I am excited that this evening I will be lighting a very special cigar, a foot-long custom roll gifted to me by the Grand Dame herself. It is big enough that I had to be careful transporting it from Havana, but it got here unscathed. I was tempted to take it home and let it age, but I cannot imagine how it would make it home undamaged. Besides, imagine the conversations I will attract with that beast that is a 56 ring gauge and is nearly as long as my size 12.5 shoes! Turquesa may not be the best resort in Varadero, but this is my fourth trip here, and they always treat me right. It is great to see all of my friends, and I know that when I get home I will be well and truly relaxed. Now, if you will excuse me, I am going to take a dip in the pool to cool off!